Raaga.com: I AM KALAM filmmaker: I wish to make a biopic on Dr Kalam because there is a Kalam in every child! 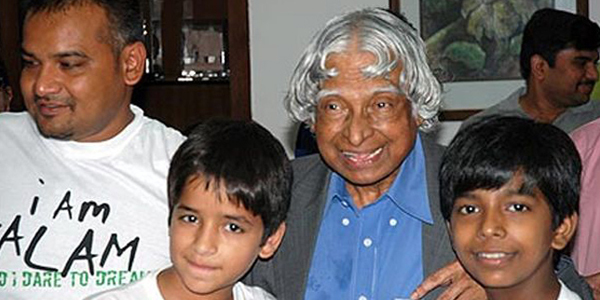 I AM KALAM filmmaker: I wish to make a biopic on Dr Kalam because there is a Kalam in every child! The death of Ex-President Dr.APJ Abdul Kalam, the 'Missile Man' and popularly revered as 'People's President' has shattered the entire nation at large. Bollywood too could not overcome this great loss. 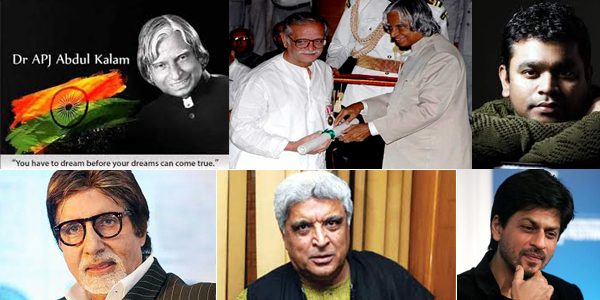 From Lata Mangeshkar to Amitabh Bachchan to Shah Rukh Khan to Varun Dhawan the entire film fraternity was taken aback by his sudden death and the social networking sites were flooded with condolences messages paying homage to Bharat Ratna Dr. Kalam, who remained in politics without being a ‘politician’! While Amitabh Bachchan lamented not having met Dr. Kalam in person, he felt proud of having a telephone conversation just before he was announced to be the next President of India. Eminent filmmaker and Oscar award winning film lyrist Gulzar, paid a glowing tribute to Dr. Kalam by his autobiographical video film APJ ABDUL KALAM KI KAHANI GULZAR KI ZUBANI, a poignant and highly inspirational documentary sketching the journey of Dr. Kalam from a poor son of a boat man to becoming President of India. The other noteworthy homage was paid by famed lyricist Javed Akhtar, who said, “The greatest aspect of Dr. Kalam was his style of leading his life. It was indeed exemplary. The way he thought, the way he spoke, the way he lived... all that should be a torchlight guiding us and we should keep him alive in our hearts."